A simple detail about password cracking tools from the wiki. In cryptanalysis and computer security, password cracking is the process of recovering passwords from data that have been stored in or transmitted by a computer system. A standard approach (brute-force attack) is to try guesses repeatedly for the password and check them against an available cryptographic hash of the password. Password cracker is not hacking a password; this software only recovers your password. Got it? So don’t use against someone’s system or illegally. The other purposes of password cracking tools might be to help a user recover a forgotten password of a system or any software. But in the world of hacking, hackers are using such a tools to break or crack the stolen password hashes of a database. Or using them to hack the wireless network and crack the passwords. So hope you completely understand the primary purpose of password cracking tools. It is a free Windows password cracker based on rainbow tables. It is a very efficient implementation of rainbow tables done by the inventors of the method. It comes with a Graphical User Interface and runs on multiple platforms. See some features of Ophcrack password cracking tools. The uploaded version of Ophcrack compiled for Windows 64-bit platforms. This version can preload tables using the whole RAM available instead of the only 2GB on 32-bit platforms. Free tables available for Windows XP and Vista/7/8.1. Real-time graphs to analyse the passwords. Live CD available to simplify the cracking. Download the latest Ophcrack version from Sourceforge, the open source software storage. The RainbowCrack password cracking tools is a general propose implementation of Philippe Oechslin’s faster time-memory trade-off technique. It cracks hashes with rainbow tables. RainbowCrack uses time-memory tradeoff algorithm to crack hashes. It differs from brute force hash crackers. A brute force hash cracker generates all possible plaintexts and compute the corresponding hashes on the fly, then compare the hashes with the hash to be cracked. Once a match is found, the plaintext is found. If all possible plaintexts are tested, and no match is found, the plaintext is not found. With this type of hash cracking, all intermediate computation results are discarded. Download the latest version of RainbowCrack password cracking tools from project-rainbowcrack website. Hashcat is the world’s fastest CPU-based password recovery tool. While it’s not as fast as its GPU counterpart oclHashcat, extensive lists can be easily split in half with a good dictionary and a bit of knowledge of the command switches. Hashcat was written somewhere in the middle of 2009. Yes, there were already close-to-perfect working tools supporting rule-based attacks like “PasswordsPro”, “John The Ripper”. However, for some unknown reason, both of them did not support multi-threading. That was the only reason to write Hashcat: To make use of the multiple cores of modern CPUs. Download the latest version HashCat from the oclhashcat website. It is a password recovery tool for Microsoft Operating Systems. It allows easy recovery of various kind of passwords by sniffing the network, cracking encrypted passwords using Dictionary, Brute-Force and Cryptanalysis attacks, recording VoIP conversations, decoding scrambled passwords. It also helps you for recovering wireless network keys, revealing password boxes, uncovering cached passwords and analysing routing protocols. The program does not exploit any software vulnerabilities or bugs that could not be fixed with little effort. It covers some security aspects/weakness present in protocol’s standards, authentication methods and caching mechanisms; its main purpose is the simplified recovery of passwords and credentials from various sources. However, it also ships some “non-standard” utilities for Microsoft Windows users. Download the latest version of Cain and Abel from the oxit website which creates and support this software. Time for special password cracking tools for web applications. The Wfuzz password cracking tools is a software designed for brute forcing Web Applications. It can be used for finding resources not linked (directories, servlets, scripts, etc.). Brute force GET and POST parameters for checking a different kind of injections (SQL, XSS, LDAP, etc. ), brute-force Forms parameters (User/Password), Fuzzing, etc. See some features below and read full details at the edge-security website. Hide results by return code, word numbers, line numbers, regex. Download the latest version from the edge-security website. The Brutus is also a good password cracking tools for the web application, but it is not updated for many years. You might still need a web application password cracker. Brutus was one of the most popular remote online password cracking tools. It claims to be the fastest and most flexible password cracking tool. This tool is free and is only available for Windows systems. It was released back in October 2000. Other types such as IMAP, NNTP, NetBus etc. are freely downloadable from this site and directly imported into your copy of Brutus. You can create your forms or use other peoples. Error handling and recovery capability in resume after crash/failure. If you would like to use this old and out of date tools, download from the hoobie website. The John the Ripper is a fast opensource password cracking tools, currently available for many flavours of Unix, Windows, DOS, BeOS, and OpenVMS. Its primary purpose is to detect weak Unix passwords. Besides several crypts (3) password hash types most commonly found on various Unix systems supported out of the box are Windows LM hashes, plus lots of other hashes and cyphers in the community-enhanced version. 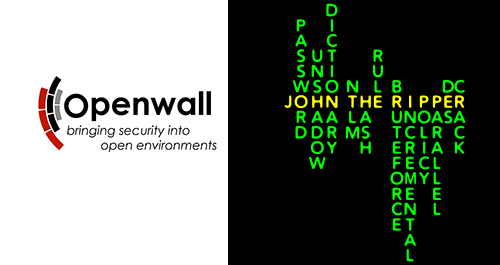 Download John the Ripper from the openwall website, the place to bringing security into the open environment. The THC-Hydra is a fast network logon cracker which supports many different services. When you need to brute force crack a remote authentication service, Hydra is often the tool of choice. It can perform fast dictionary attacks against more than 30 protocols, including telnet, FTP, HTTP, https, SMB, several databases, and much more. 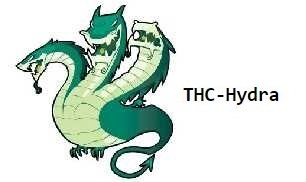 Download the THC Hydra from THC website and see feature sets and services coverage also. The L0phtCrack Password Cracking Tools is an alternative to OphCrack. It attempts to crack Windows passwords from hashes. For cracking passwords, it uses Windows workstations, network servers, primary domain controllers, and Active Directory. It also uses a dictionary and brute force attacking for generating and guessing passwords. L0phtCrack 6 is packed with powerful features such as scheduling, hash extraction from 64 bit Windows versions, multiprocessor algorithms, and networks monitoring and decoding. It is still the easiest to use password auditing and recovery software available. The range of Target Systems Software runs On Windows XP and higher. It operates on networks with Windows NT, 2000, XP, Server 2003 R1/R2, Server 2008 R1/R2, on 32- and 64-bit environments, as well as most BSD and Linux variants with an SSH daemon. Download the latest version from l0phtcrack website. The Aircrack-ng is an 802.11 WEP and WPA-PSK keys cracking program that can recover keys once enough data packets have been captured. It implements the standard FMS attack along with some optimisations like KoreK attacks, as well as the PTW attack, thus making the attack much faster compared to other WEP cracking tools. In fact, Aircrack-ng is a set of tools for auditing wireless networks. To secure a Wireless network against Wireless hacking read the article “5 Steps to Secure your home Wireless Network“. Download the Aircrack-ng from the Aircrack-ng website, where you can find more information about this Wireless Password Cracking Tools. You might need to read “5 ways to Hack Wireless Network” article that is a good way to secure your Wireless Network. Modular design. Each service module exists as an independent .mod file. It means that no modifications are necessary to the core application to extend the supported list of services for brute-forcing. Multiple protocols supported. Many services are currently supported (e.g. SMB, HTTP, POP3, MS-SQL, SSHv2, among others). Download the latest Medusa tools from the foofus website which support the fgdump tool for mass password Auditing of Windows Systems. It is also a best cracking tool. These are the most popular tools that hackers are using for cracking password hashes and codes of web applications and operating systems. I’m sure that there are many important passwords cracking tools that I miss to bring the list, so tell us the name please to complete this list. If you need more information about such a tools, read the password is cracking section of Certified Ethical Hacking (CEH) from the EC-council academy. And the post “Certification Road-map for Information Security” for security lovers. HashCat is on the list now. Nice toolkit! I would recommend PCUnlocker which can not only reset lost Windows password, but also bypass Windows password authentication through changing Windows kernel during startup. PCUnlocker is not a cracking tool. It is just reset the Windows password which you can do simply as this post “http://www.technig.com/reset-forgotten-windows-10-password/” without paying. You will get number of important Windows password recovery tools in the SysInfoTools. The all tools have unique and advanced features through which you can easily recover the passwords. I used ophcrack but not succeed, it runs fine until it says “no tables found”. and I found another password recovery tool: iSeePassword. it works fine, safe and easy, but it’s not free. Cost $17. Which one is the fastest? From my own opinion, resetting password is much easier than cracking the password in regards to windows password. I can UUkeys Windows Password Recovery to set the password in a few minutes. but it takes much longer time to let ophcrack break the password. Exactly, it takes too much time to crack with these password cracking tools.